Hard to believe, but the holiday season is just around the corner once again! Celebrate the beginning of the holidays, and help a Golden Retriever rescue raise funds to help its dogs. Wisconsin Adopt A Golden Retriever (WAAGR) will hold its 10th annual Goldens Holiday House on Saturday, Dec. 7, from 10 a.m. to 4 p.m. WAAGR, an all-volunteer/member Golden Retriever rescue organization serving southeastern Wisconsin and beyond, will host the event at the home of one of WAAGR’s founding members, N61 W12851 Hemlock Court, in the River Heights South subdivision, Menomonee Falls, Wis. The home will be decorated with 30 trees, including a Wizard of Oz tree and a tree dedicated to Jolly Old St. Nick himself. WAAGR Vice President Barb Hart, who hosts the event with her husband Jim, begins decorating her home for the event in October. This year’s also will feature a baked goods sale, silent auction, complimentary refreshments, and plenty of Golden Retrievers to greet attendees. A $5 donation is requested to attend the Goldens’ Holiday House, with kids under 12 admitted for free. All proceeds from the event go to help the Goldens in WAAGR’s care that are awaiting new homes. So far in 2013, WAAGR has helped 110 dogs. * The tallest tree decorated for the event is 12 feet. * Barb Hart said she has collected more than 2,000 Hallmark ornaments in 35 years, which adorn all but one of the trees. * More than 5,000 cookies are baked for the bake sale each year. * Ten volunteers will be on hand to help with the event. Wisconsin Adopt A Golden Retriever received its 501(c)(3) February 2005 and helped its first dogs in May of that year. WAAGR’s mission is “to provide bright new beginnings to displaced Golden Retrievers.” WAAGR is an all-volunteer/member rescue organization based in southeastern Wisconsin, also serving the Madison area and the Fox Cities/Green Bay. 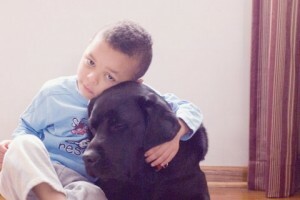 For more information about WAAGR and adoption, visit the organization on the web at http://www.waagr.org. A member company of the National Animal Supplement Council (NASC) since 2005, Vets Plus, Inc. (VPI) has been granted “Preferred Supplier” status by NASC. President of NASC Karen Howard announced the addition of Vets Plus to its list at the SupplySide Animal Nutrition Insights Summit held in Las Vegas November 13. Because of the company’s consistently high quality standards, Vets Plus has been granted the privilege to use the NASC Quality Seal on labels and marketing materials for its innovative companion animal supplements, all of which are manufactured in the USA. The seal builds consumer confidence by symbolizing the manufacturer’s adherence to strict quality and labeling guidelines per NASC standards. Vets Plus, Inc. (VPI), located in Menomonie, Wisconsin, is a leading manufacturer of health and nutritional supplements for both food and companion animals. With over 20 years of experience, Vets Plus creates custom formulations for contract manufacturing of innovative probiotic, prebiotic, nutritional, and nutraceutical products in a wide variety of feeding forms. Vets Plus is proud of its continued growth into a leader within the animal health industry and ability to manufacture several hundred products while maintaining ISO-9001:2008 and NASC certifications and cGMP and AAFCO compliance. Vets Plus is a member of the American Pet Products Association (APPA). This year HAWS is offering one-day sessions to allow for greater flexibility during the holiday season! Sign your child up for one day, or multiple days. Ages are from 6 to 14 years. Each day will give your camper an opportunity to spend time with many different types of animals. If you sign up for more than one day you can be assured that we’ll do different activities each day, so your child won’t do the same thing each day! Camp runs from 9:00am to 4:00pm each day. We will provide a mid-morning snack, although you should send you child with a bag lunch. For parents who need to drop their child off earlier, or pick up later we do offer extended care. For a small fee you can drop your child off at 8:00am and/or pick your child up at 5:00pm. During this time one of our counselors will supervise your child. 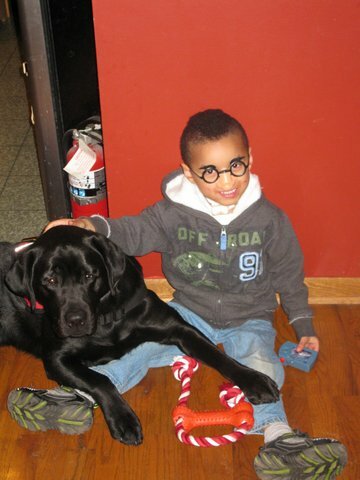 A disabled boy’s service dog will get the surgery he needs to repair ligaments in his leg on Wednesday thanks toFrankie’s Friends, Great Lakes Assistance Dogs, and Michigan Veterinary Specialists in Auburn Hills, a BluePearl Veterinary Partners hospital. The 2-year-old black Labrador named Venture tore his cranial crucial ligament and is scheduled to undergo an arthroscopically assisted tibial plateau leveling osteotomy at MVS to repair the damage. A TPLO is a minimally invasive procedure similar to those performed on people to repair a knee. It can minimize pain and reduce the recovery time for patients like Venture. 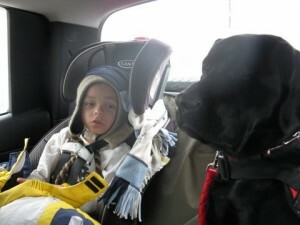 Venture is the service dog for 5-year-old David Facey, who was born with attention deficit hyperactivity disorder and cerebral palsy. As well as carrying David’s oxygen tanks, Venture is trained to alert when the oxygen saturation level in David’s bloodstream drops and he needs to be placed on oxygen. Additionally, Venture has a calming effect on David and will stop him from running into dangerous situations. Since his injury, Venture cannot currently carry David’s oxygen. The TPLO surgery will allow him to once again provide that service. Dr. Kevin McAbee, a board-certified specialist in veterinary surgery, will perform the operation at MVS located at 3412 E. Walton Blvd. in Auburn Hills. GLAD, Frankie’s Friends and MVS have all contributed to pay for the operation. Frankie’s Friends is a non-profit that helps pay for life-saving emergency and specialty veterinary care for pets whose families would otherwise be unable to afford the cost of care. GLAD is a non-profit organization that provides assistance and skilled companion dogs to children and adults with special needs. They train dogs to assist people with autism, medical and mobility issues, and certain psychiatric disorders, as well as sensory processing disorders and seizures. Formed in 2008, BluePearl Veterinary Partners employs more than 1,400 people including more than 350 veterinarians. BluePearl hospitals offer referral-only, specialty care services and most offer 24-hour emergency care. BluePearl does not provide primary care. The company is one of the world’s principal providers of approved veterinary residency and internship programs. BluePearl also participates in clinical trials that investigate the effectiveness of new veterinary drugs and treatments, providing pet families access to cutting-edge medicine that is not yet commercially available. BluePearl is headquartered in Tampa, Fla. BluePearl Veterinary Partners has five hospitals in Michigan: MVS in Auburn Hills, Grand Rapids, and Southfield, and BluePearl in Ann Arbor and Macomb. Specialists are available by referral for cardiology, critical care, dermatology, emergency medicine, integrative medicine, internal medicine, neurology, oncology, ophthalmology, radiology and surgery. When Blaze arrived at the Wisconsin Humane Society, you would have never guessed that he was only 11-months-old. The skinny German Shepherd pup had tired eyes, a dirty coat and a partially-healed wound on his neck. He was also covered in fly bites that were so bad, his ears were painfully damaged. Despite all of this, his tail was wagging. Blaze finally had hope. 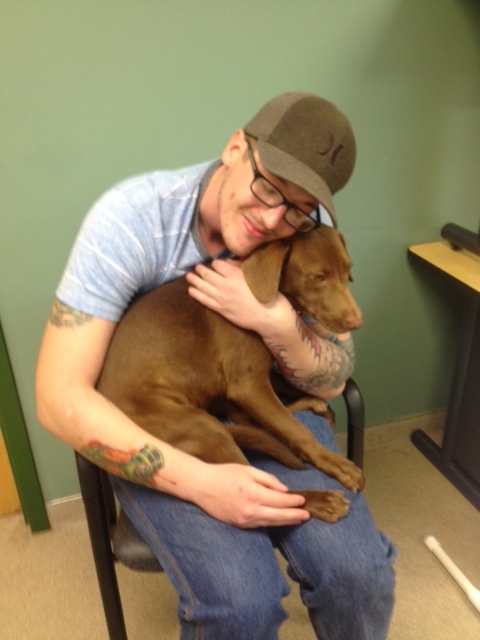 Our veterinary team went to work right away, administering antibiotics and feeding Blaze a special high calorie diet. After just three weeks, Blaze looked like the healthy, handsome dog we knew would emerge. He was beaming. And although he will probably always have scars on his ears, his heart is happy and Blaze is ready to love his brand new family. Life wasn’t any easier for Butterball. The 8-week-old kitten had been living on the streets. Just trying to survive was a challenge of its own, but when he broke his leg, the little guy’s future became truly uncertain. Thankfully, a concerned citizen found the suffering baby and brought Butterball to WHS. Finally, he had hope, too. Butterball’s leg was severely fractured and had to be amputated. But surrounded by the warmth and expert care of our staff and volunteers, the kitten recovered quickly. A few weeks later, Butterball was adopted into a loving home where he will never again have to struggle to find scraps of food to keep him alive. Hope is an essential part of what we do. Hope propels us forward as we work to create a safer, more humane community for all of us, furry and human alike. We couldn’t do it without you. Please help us kick off the season of giving with a gift to Hope’s Lights. Even a single light will make a real difference in the life of an animal. Together, we can shine hope in dark places and make life better for all of us. You can purchase a light in honor or memory of a beloved companion animal, person, or even a wild animal. After arriving home from the war, Kyle was unable to tell friends, family and those close to him about what happened and what he had seen. He described flashbacks and nightmares relating to the war. Kyle needed something to take his mind off of what he had seen. He applied with the organization, Pets for Vets, in hopes to connect with an animal that he could bond with. Two years passed and no dog through the organization. Kyle decided to come to Elmbrook Humane Society (EBHS) on Oct. 14, 2013, with the help of Linda Bobot, a certified dog trainer, who has started a new program to help connect veterans with animals that need forever homes. Kyle described his perfect dog to EBHS staff member, Meghan Weissenborn, as playful, affectionate, and someone he could cuddle with. 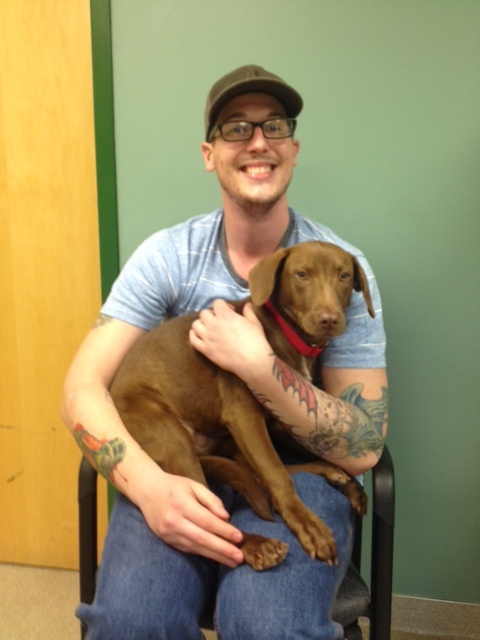 Meghan told him about a shy, gentle, yet sweet eight month old Labrador Retriever mix the shelter had, her name was Jade. Jade and Kyle bonded instantly, it was love at first sight. Jade had always been shy at EBHS, but when she met Kyle, she completely opened up because he was so patient and calm with her. Kyle threw the tennis ball; Jade would retrieve and drop at his feet. Kyle would walk her; Jade would flip on her back wanting to be loved. Linda told the staff, “Veterans look for dogs that are a bit on the shy side. The dogs will look to the veteran to give them guidance when they are unsure.” Kyle was patient and calm with Jade who in turn gave him all of the respect and love that he had been missing. On Oct. 15, Kyle officially adopted Jade. Jade will now be Kyle’s therapy and service dog, where she will help him work through his post-traumatic stress disorder and together they will both bring each other out of their shells. This is such a perfect ending for this veteran and this dog to come together and help each other grow, learn and experience life together. According to the 2012 US Pet Ownership & Demographics Sourcebook, 43 million households in the United States own dogs and 36 million own cats. With so many pet owners in the US, it’s not surprising that the pet products industry is a booming business. Our pets are part of the family and this holiday season, give them the gift of health. “As the days get shorter and the weather colder, our pets spend more time indoors, with less exercise, leading to unhealthy weight gain and inactivity, both negatives in the area of good health,” says Will Post, President of Hounds & Gatos Pet Foods. “An easy way to insure your pet enjoys a healthy life is to use similar guidelines one would use for one’s self. If you instill good eating, exercise and sleep schedules, your pet, and you, will reap the benefits resulting in a longer and happier life”, he says. Pet Food. Feed your dog well this holiday season. Avoid giving them fatty and bony scraps from the table, which can lead to severe digestive track conditions, and instead reward them with premium pet food that will help them live a healthier life. Purchase pet food with no additives or preservatives, such as Hound & Gatos all-natural pet foods. Sweaters. Sweaters and jackets are not just a cute accessory. Pets with short hair have trouble staying warm in the cold weather. Buying a soft, well-fitted sweater for your pet will help protect them from the elements. Toys. There are so many dog toys out there, varying in every shape, size and color. Toys are the perfect encouragement for pets to exercise, increasing heart health and weight loss. Buy an eco-friendly ball that is durable and bouncy to keep your pet entertained all winter long. Time. When the cold weather hits, outdoor exercise becomes increasingly difficult. It is, however, essential to take the time to walk your dog, so use this opportunity to visit a local dog park and socialize your pet with other animals. This is especially beneficial for younger dogs. Cats and dogs thrive on a pure meat-based diet, such as the product line offered by Hound & Gatos Pet Food Corporation. The pet food is sold in over 1600 stores in the U.S. and 600 stores in Canada, and to learn more about Hound & Gatos, including where to buy products, visit their site at: http://www.houndgatos.com. Hound & Gatos Pet Food Corporation is based in Atlanta, Georgia. Their mission is to provide the public with high quality pet food options for dogs and cats. Their line of pet foods focuses on the highest quality ingredients that provide maximum nutrition and avoid all bi-products and other ingredients that would generally be unnatural in a pet’s diet. For more information on Hound & Gatos visit the site at http://www.houndgatos.com. Or, call your local pet store.